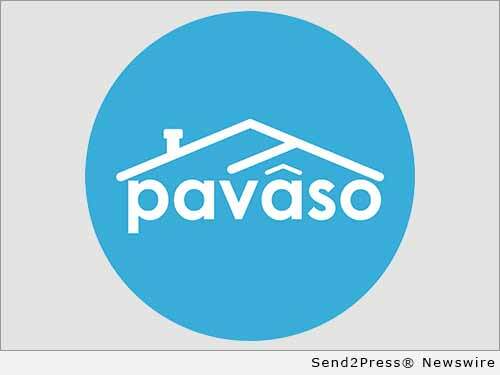 LOS ANGELES, Calif. /California Newswire/ — Pavaso, a leader in eClosing and Consumer Management technology solutions, announced it has recorded its 2,000th live transaction on the Digital Close platform. In addition, more than 6,500 user accounts have been created in the platform, spanning from mortgage lenders to title/settlement agents to REALTORS and consumers. The announcement was made in conjunction with the Mortgage Bankers Association's National Technology in Mortgage Banking Conference & Expo, of which Pavaso is a diamond sponsor. "Our approach is simple," Mark McElroy, president and CEO of Pavaso, said. "We think about what issues the industry is facing now and what they'll be facing in the near future. Then we solve those problems by building creative, relevant technology based on solid process re-engineering. When we started designing and building the platform from the ground up in 2010, we studied the closing process very carefully, and what we came up with is a single platform where the consumer, lender, real estate agent, title company, investor and other service providers could reap benefits together through collaboration. The key to all of this was focusing like a laser on the consumer's experience." Having officially launched in early 2014, Pavaso was selected in August 2014 as one of the participants in the Consumer Financial Protection Bureau's eClosing pilot. Paired with Utah-based Mountain America Credit Union and New York-based Franklin First Financial, Pavaso facilitated more than 550 eClosings in both the basic and advanced eClosing categories. In addition to showing double percentage points of improvement in customer satisfaction compared to paper transactions, Mountain American worked with Pavaso to deliver the entire closing package three days before the consumer's closing date, while capturing roughly 100 points of data regarding the interaction of the consumer throughout each closing. "After being battle-tested in the CFPB's eClosing pilot, we expanded our focus to zero in on other closing-related issues the industry was facing," McElroy added. "We foresaw early on that TRID was going to cause significant issues in regards to closing, and our goal was to enhance our platform in order to save lenders $1,000 or more per loan, close the gap with consumer technology and expectations and shave time off the closing and funding processes – all while putting the lender in good standing with the CFPB. If we've shown anything over the past few years, it's that we've answered the challenge, and we're not stopping there." In addition to the Digital Close(SM) and Signing Table(SM) applications used in the CFPB pilot, Pavaso has added its WebClosing(SM) solution to the platform so any computer with a browser (touch screen or not) could be used to conduct a closing and accommodate any combination of paper, hybrid, digital or eNote/eVaulted closing. For investors, Pavaso has created the Closing Forensics(SM) and Mortgage DNA(SM) solutions, which provide investors with new data points and tools to securitize closings from the platform. In the last half of 2015, Pavaso launched its Sales Contract Negotiator tool so that sellers, buyers and their real estate agents could negotiate a sales contract online, thus starting the process digitally right from the beginning of the transaction. Pavaso also launched the beta of its IDMAXX(SM) solution to introduce a new take on identity verification and character references for the mortgage transaction. "What we really want to stress is that our technology is not meant to replace the human element of the transaction," McElroy states. "It's meant to enhance it, greatly. At the end of the day, it's simple. If the consumer is given a better experience and treated fairly, they're happier and much more likely to keep a long-term relationship with those who served them. It just so happens that when done right, it makes things much more efficient for any business stakeholder of the transaction as well." Pavaso is redefining real estate for the real world by connecting everyone in the real estate lifecycle through powerfully simple innovation. For more information on how our platform and solutions can help you move beyond TRID challenges, digitally transform your organization, and dramatically enhance the consumer experience, call us at 866-288-7051 or visit http://www.pavaso.com//.